Playlist for Tom Ossana / Dane Brewer – The Thin Edge – May 25, 2016 MST 7:00 to 9:00p.m. 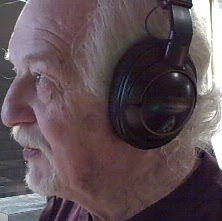 www.kzmu.org/listen.m3u ~ Use this link to access the show online. Borrowing thoughts about Cowboys & Frenchmen - Rodeo (Outside In Music/KARI-ON Productions 2015) from All About Jazz's Geannine Reid, "Today's jazz is a mix of culture and music; with a fresh mixing of the American song book along with American folk, R&B and pop music with the ever evolving canon of post-bop jazz," we get to this international quintet covering alto saxophonist Owen Broder's "King Barry". Florida born trumpeter Theo Croker is next performing his penned "This Could Be" from his 2016 Okey records Escape Velocity, an outing touted by Charles Waring from soulandjazzandfunk.com as, "undoubtedly one of the best new jazz albums of the year so far. Whatever you do, don't let it escape you." 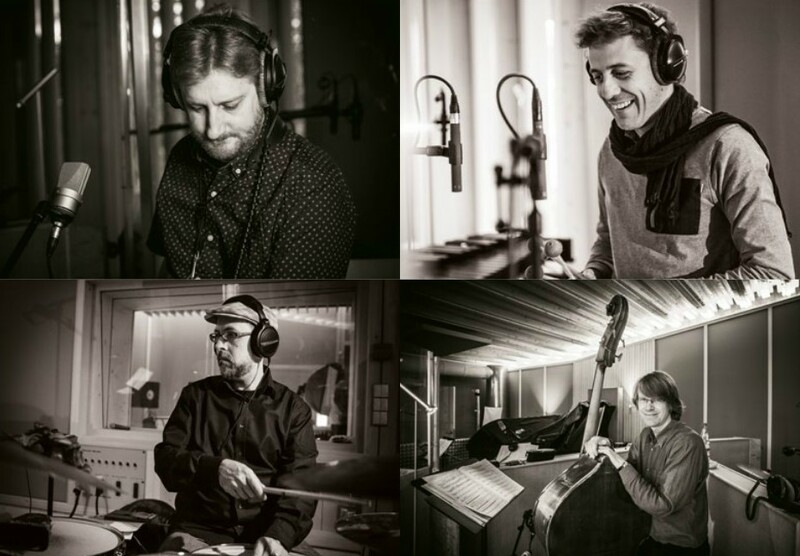 Newcomer guitarist Ermis Michail Quintet's 2016 Minor Change follows playing the title track featuring Thomas Lumley on tenor and Andreas Panteli's piano. Ermis hails from Rotterdam, a major port city in the Netherlands' province of South Holland. We come home finally with Shorty Rogers and his West Coast sounds performing "Coop de Graas" from the 1956 RCA Victor recording The Big Shorty Rogers Express. 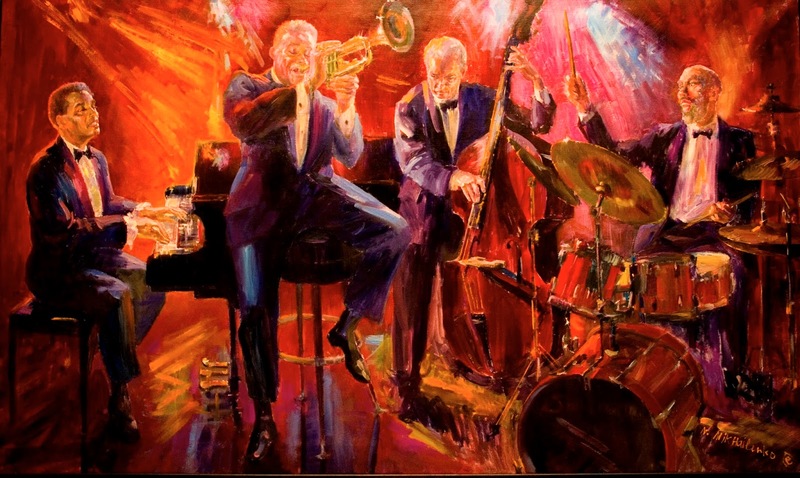 The contrapuntal melody is Shorty's featuring Bob Cooper and Jimmy Giuffre on tenor and John Graas on French horn. New Yorker Jeremy Manasia and his trio kick off the third half with a cover of Dizzy Gillespie's "Wheatleigh Hall" from his 2016 Rondette Records Metamorphosis featuring Peter Bernstein. Peter plays the guitar with the leader's piano, Barak Mori on bass and Charles Ruggiero on the drums. French pianist Manuel Rocheman follows with his 2016 Bonsaï Productions misTeRio performing the title track with trio mates Mathias Allamane (b) and Matthieu Chazarenc (d). Bop pioneer Dizzy Gillespie is next with probably his most famous composition, "Con Alma", from the 1956 Columbia/Verve release Afro. The Diz gets help from Alejandro Hernandez's piano and Rafael Miranda's congas. From Narragansett, Rhode Island, pianist Julian Shore concludes this half covering Dizzy's tune from his new Tone Rogue Records Which Way Now featuring, among others, Dayna Stephens on tenor. At the request of LA's Tim Withee, Boz Skaggs gets us cuddling with his treatment of De Oliveria, Gilbert and Jobim's "Dindi" from his 2008 Decca Speak Low with some romantic tenor from Bob Sheppard. One of my favorite Jazz Crusaders' efforts from the 60s is the group's take on Carole King's "Hey Girl" from their 1966 Pacific Jazz Talk That Talk. Also from Tim, we'll hear Ernestine Anderson tackle "Sack Full of Dreams" (Gary McFarland - Louis Savary) from her 1986 Concord Be Mine Tonight. Old timers Benny Carter (alto) and Ray Brown's bass brighten the scene. Next we get into the chaos that typically factors in romantic entanglements. Japanese pianist Megumi Yonezawa's A Result of the Colors (Fresh Sound New Talent 2016) embodies this turmoil with her penned "Epilogue" with help from locals John Hebert (b) and Eric McPherson (d). Gregory Porter either warns or titillates the love question with his composition, "Consequences of Love" from the new Blue Note Take Me to the Alley. Chip Crawford's piano and Tivon Pennicott's tenor enhance the ensemble. From Mike Newell's Four Weddings and a Funeral we'll listen to Elton John massage Gershwin's "But Not for Me". It's not "Come Back in Time" by Elton and Bernie, but the sentiment sizzles. Carol Saboya leaves us holding hands with her cover of Sting's "Fragile" from her new AAM Music's Carolina, a title having nothing to do with the transgender problems facing North Carolina. 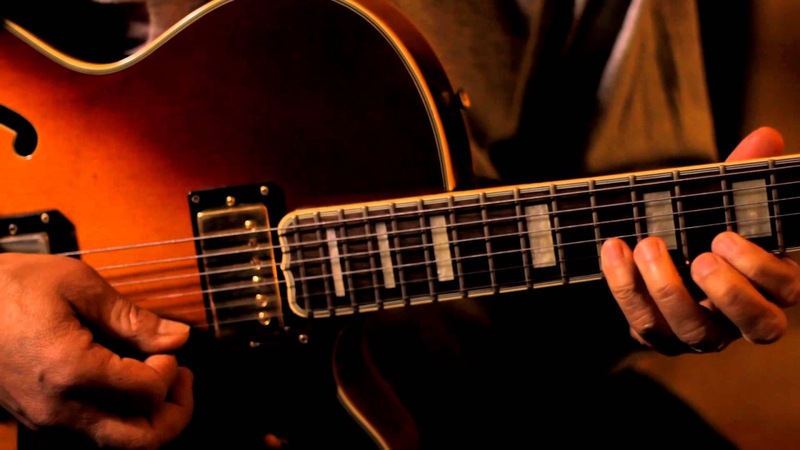 Unfamiliar combinations in music can lead to surprising, captivating results. 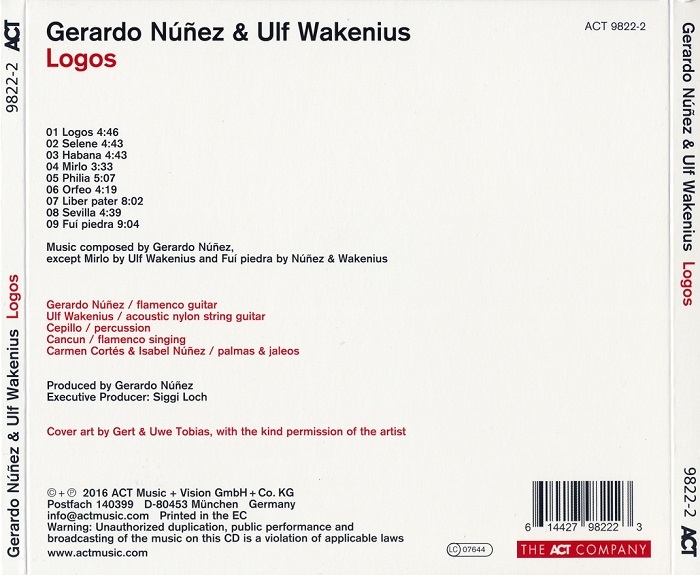 At the “Jazz at Berlin Philharmonic” concert in October 2014, series curator Siggi Loch presented Swedish guitarist Ulf Wakenius in a new and unexpected role: as second guitarist alongside the undisputed master of flamenco nuevo, Gerardo Núñez. 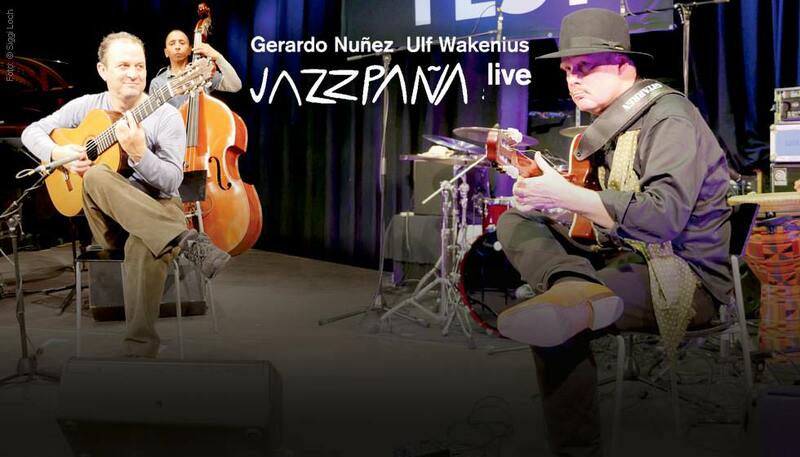 The combination of Wakenius and Núñez has succeeded in sending the Jazzpaña project off into a wholly new direction. The Tagesspiegel described the occasion as a “mighty fiesta.” Sparks definitely flew, Núñez had an appetite for more of the same, and he invited his Swedish colleague straight back to Madrid for the re-match. Gerardo Núñez, originally from Jerez de la Frontera, has been called the crown prince of the flamenco guitar. Núñez is the natural and obvious successor to Paco de Lucía who passed away in 2014. He has not just renewed the centuries-old Spanish art form of flamenco, he has opened its doors, and let the winds of jazz, pop music and classical music blow in. For Núñez, co-operations which can lead to new inspiration have become something of a trademark. He has worked with operatic tenor Placido Domingo, with pop music idol Julio Iglesias and with John Patitucci, the star bassist from the world of jazz. Now, in Ulf Wakenius, he has found his ideal partner, because the Swedish guitarist is a musician unusually receptive to new contacts and new ideas. 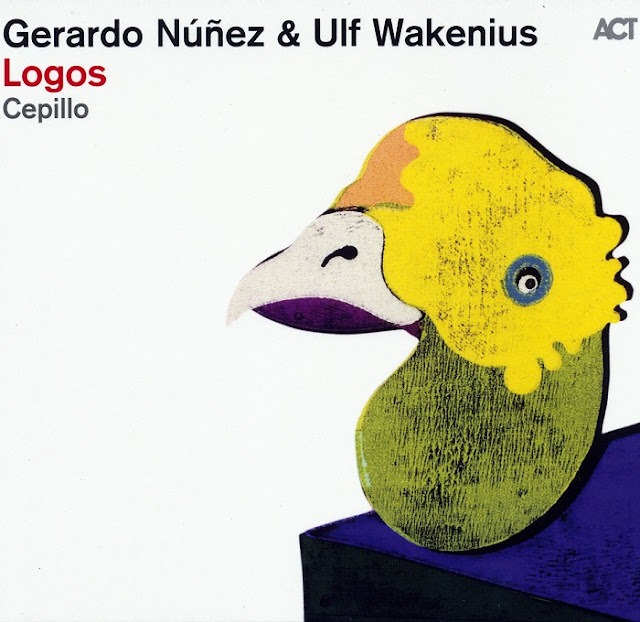 Wakenius’ playing has always not just been inspired by the American jazz tradition but also by world music. Wakenius can play in just about any style he chooses, and always in a wholly individual way. His openness and versatility are the hallmarks of a quite remarkable career. 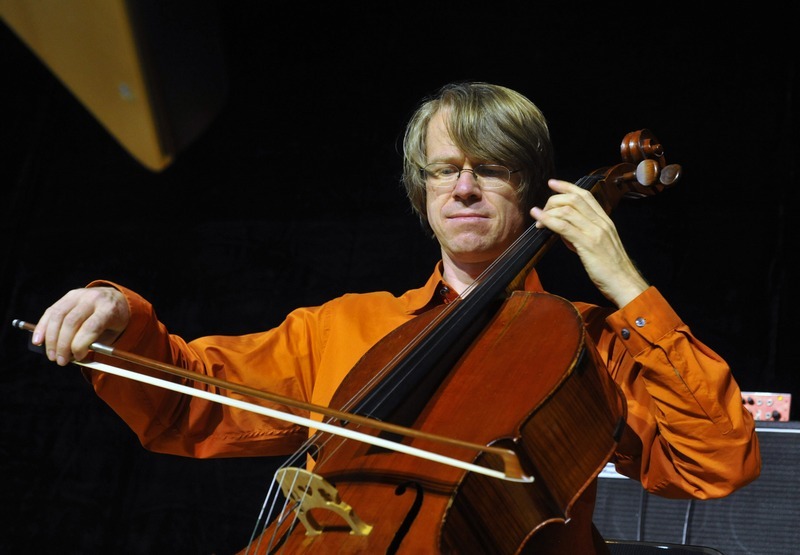 Wakenius has played alongside two bass icons Niels-Henning Ørsted Pedersen and Ray Brown, and for many years was a member of the legendary Oscar Peterson Quartet. He has also made his mark accompanying of singers such as Youn Sun Nah and Viktoria Tolstoy, and given free rein to his vagabond side in a duo with that unstoppable rising star of the accordion, Vincent Peirani. 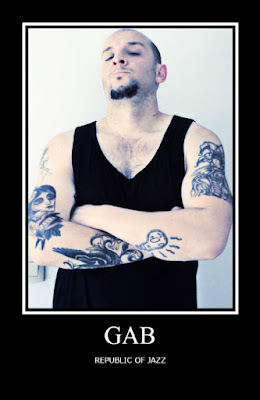 Núñez has explained the name of the album. “Logos”, he says “describes the mystery of our meeting.” The word beckons the listener into the world the two have created through their intense conversation. 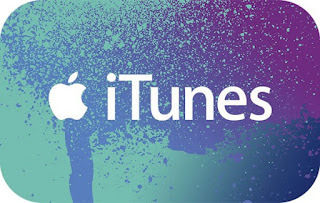 They combine their musical vocabularies and create rhetoric, dialogue, narrative, discussion, definition and meaning. “Logos” is also the meeting of two of the major guitarists of our time, two very different characters with both respect and curiosity for the other's music. They work so well together because each musician symbiotically extends the ideas of the other, and creates context and validity in the moment. “Logos” might be unexpected, but it has developed its own logic, and that logic is irresistible. In photo, from left to right: Anthony Braxton and Bernie Worrell. Photo by Miro Vintoniv. New England Conservatory bestowed honorary Doctor of Music (hon. D.M.) 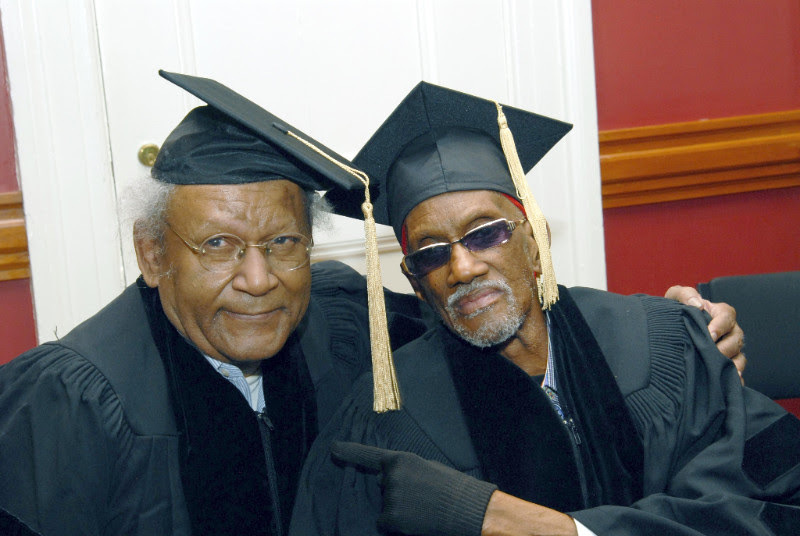 degrees on composer and multi-instrumentalist Anthony Braxton and Parliament/Funkadelic co-founder Bernie Worrell and three others at its 145th annual Commencement Exercises, Sunday, May 22, 2016 at 3 p.m. in NEC's Jordan Hall. Other NEC 2016 Honorary Degree recipients included conductor Leonard Slatkin, soprano Martina Arroyo, and composer Malcolm Peyton. 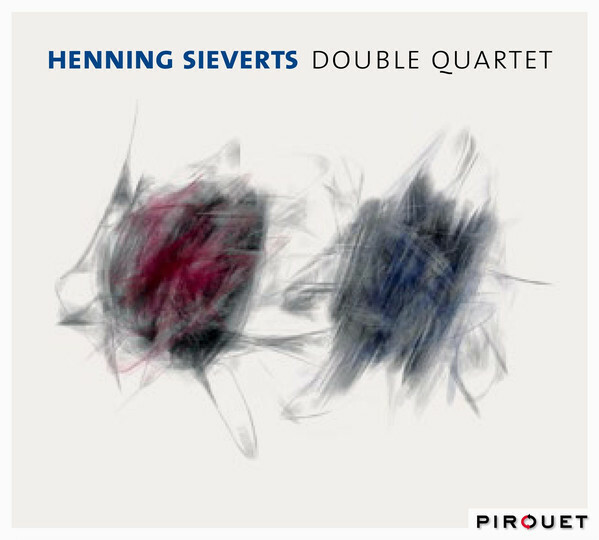 Double Quartet, Sievert’s fourth album for PIROUET, is an offshoot of the bassist/composer’s musical vision for the 2014 edition of the yearly Tonspuren Festival at the Irsee Monastery in lower Bavaria. While researching over 600 years of this former Benedictine Abbey’s history, Sieverts unearthed a Mass composed in 1614 specifically for the Abbey’s festival of St. Benedict. 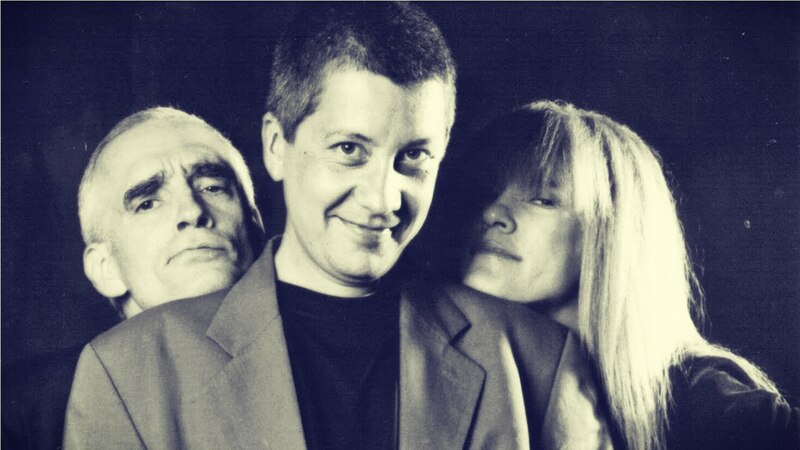 There are few figures in modern music that are truly more iconic than Carla Bley. Her list of accomplishments are impossible to chronicle in this limited space, but suffice to say that her influence traverses genres, styles and generations, in a way that perhaps no other artist has approached. Her early crowning jewel—the jazz opera Escalator Over The Hill (JCOA Records, 1971)—featured a who's-who of music including Jack Bruce, Linda Ronstadt, Don Cherry, Don Preston, Charlie Haden, Michael Mantler, Karen Mantler, Roswell Rudd, Gato Barbieri, Karl Berger, Leroy Jenkins, John McLaughlin, Paul Motian and Enrico Rava. Though it was clearly a joint effort, it helped establish Bley as a creative force to be reckoned with and she has never looked back. Bley, once the spouse of the late Paul Bley, has had her compositions recorded by an equally impressive list of artists including her former husband. Phil Woods, Jaco Pastorius, Arturo O'Farrill, Eberhard Weber, Jan Garbarek, George Russell, Jimmy Guiffre and Tony Williams just scratch the surface of those who've recorded Bley compositions. 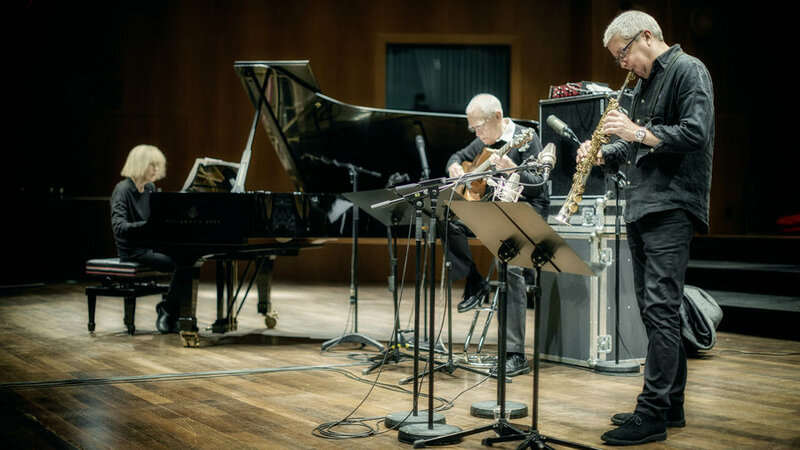 Bley and Charlie Haden broke new ground with the Liberation Music Orchestra who recorded four unusually provocative albums from 1969 through 2005. From their self-titled debut, the group featured politically-charged music including pieces inspired by Che Guevara and the 1968 Democratic National Convention. The final LMO album, Not In Our Name (Verve, 2005) was a direct anti-war response to U.S. policies in the Middle East. With almost two-dozen recordings as a leader and more dozens as a collaborator, Bley has taken on almost every conceivable formation, even tackling a couple of vocals on her I Hate to Sing (WATT, 1984) while playing a keyboard assortment of organ, glockenspiel and piano. Always considered a stellar band leader, Bley's skills as a pianist were often underrated and her preference for larger ensembles hasn't shone a spotlight on her solo work. Still her WATT/ECM duo albums with Steve Swallow, Duets (1988), Go Together (1993) and Are We There Yet? (1999), displayed a gifted—if less than flamboyant—pianist. 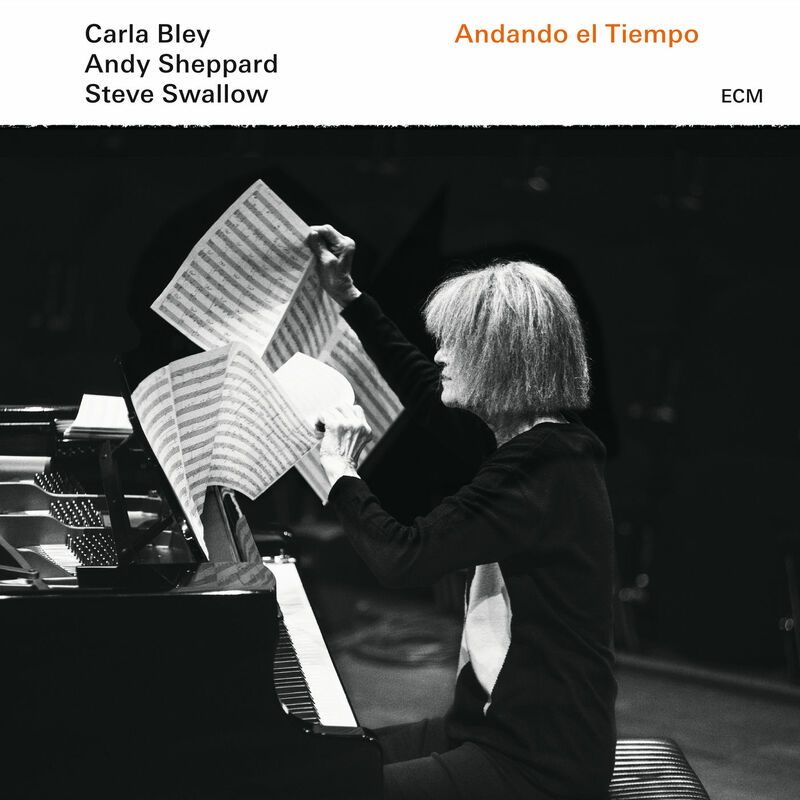 Those more intimate setting tend to be the exceptions for Bley, but with her ECM debut Trios (2013) and now, with Andando el Tiempo we are again treated to her more personal and familiar approach as she reunites with Swallow and saxophonist Andy Sheppard. The melodic, but curiously off-kilter, "Sin Fin" features the gentle serpentine web of Sheppard's tenor working around Bley's understated melody. Swallow supplies a beautiful solo on the mesmerizing "Potación De Guaya" where Sheppard seems to float in and out of the body of the piece. The bassist provides a supple lead on the Latin flavored "Camino Al Volver"; Sheppard and Bley coming along later to fill in with light but sophisticated content. "Saints Alive! "—despite the excitable title—is a low key work with the soprano and bass dialog being prominent. "Naked Bridges/Diving Brides," written for Sheppard's wedding, is influenced by German composer Felix Mendelssohn and poet Paul Haines (of Escalator... fame). This, the closing piece of the five lengthy compositions, has strong impressionistic qualities that are both ceremonial and idyllic. Because Bley works under so many different musical umbrellas, it's difficult (and perhaps, meaningless) to generate some hierarchy of quality in individual projects. But as the release of Andando el Tiempo coincides with her eightieth birthday, it seems appropriate to place the recording in the scheme of Bley's long and impressive career. To that end, the collection is as fine a small-group recording as Bley has produced in her career. While she has mastered all characteristics of musical narrative, here she has minimized the levity and occasional excesses in favor of warmth and class. It is a beautiful album. In recent years Andreas Dombert has toured alongside stars like Larry Coryell, Philip Catherine, Ulf Wakenius and Airto Mereira. 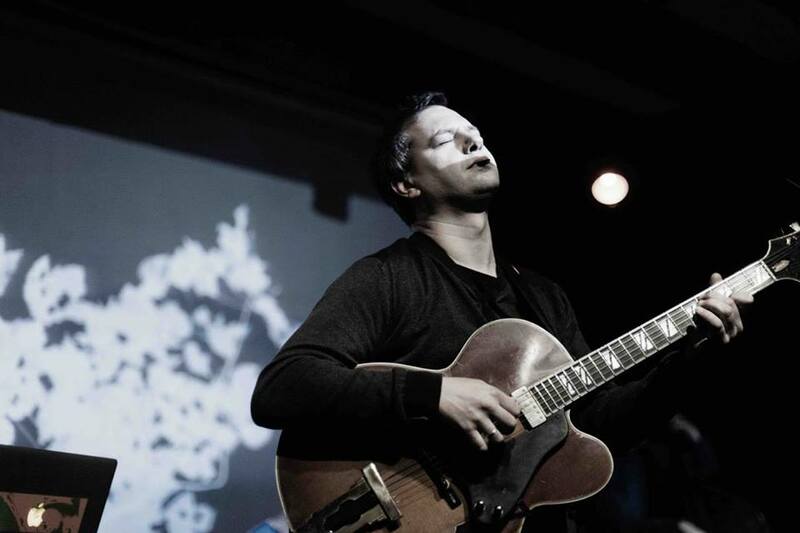 He performed at first-rate international festivals with his formation “Night of Jazz Guitars” and, as leader of his band “Dombert’s Urban Jazz”, he has been experimenting with electronic influences and developed his very own sound. At this point, in his mid 30ies, the guitarist has produced his first record as a trio, which resembles the essence of his achievements so far. 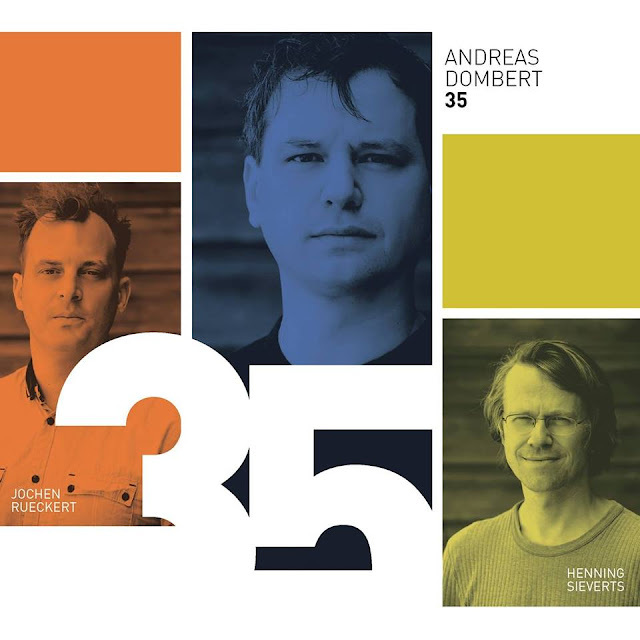 The name of the album is simply going to be “35” and it will be released by Yellowbird/ENJA in May2016. “For a long time I hesitated doing a record as a trio, because that is when you reveal your innermost feelings”, Andreas Dombert says. “But now is the right time for that.” In the summer of 2015 he went to the studio with New York based drummer Jochen Rückert and Munich bass player Henning Sieverts which felt like a dream come true. The result is a warm and melancholic album that reflects Dombert’s unfailing sense for powerful melodies and wide sound architecture. The other big project in 2016, aside from Andreas Dombert’s trio debut, is the release of a second “Night of Jazz Guitars” record. Dombert and his congenial partner Paulo Morello were able to invite Pat Martino, Michael Sagmeister and Jim Mullen as guest musicians. Additionally, they are touring with London fingerstyle virtuoso Martin Taylor and Swedish guitar star Ulf Wakenius in autumn. Andreas Dombert began his musical training with classic piano. Later he studied jazz guitar at the “Hochschule für Musik Nürnberg-Augsburg” with Helmut Kagerer and Paolo Morello. 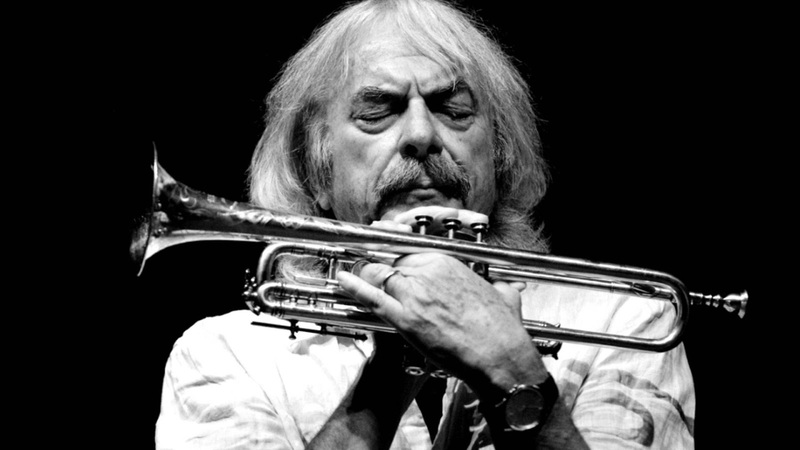 From 2002 to 2004 he was a member of the “Bundesjugendjazzorchester” conducted by Peter Herbolzheimer. A study visit in New York completed his training. Playing the guitar in the studio and live for various pop acts, he looks back on more than 500 concerts, chart successes and dozens of TV appearances. He was a member of the jazz-metal-combo “Panzerballett” and played guitar on the album “Starke Stücke”, released by ACT. With his project “Dombert’s Urban Jazz” he explores the boundaries of the genre combining analogue instruments, electronics and visuals. 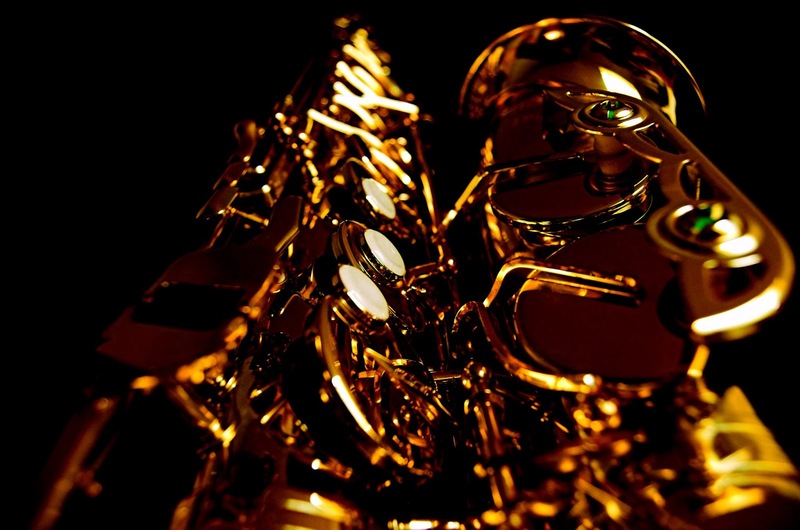 The debut of the group was published in 2010 in the series “Jazz Thing – Next Generation”. 2013 the “Süddeutsche Zeitung” praised their following album “16/8” as “one of the most exciting jazz albums of the year”. One year later, the Süddeutsche Zeitung described another Dombert project in the same way: the album “DUO” with piano player Chris Gall. On this intimate record the very unusual piano-guitar line-up presents an exciting mix of jazz and minimal music. 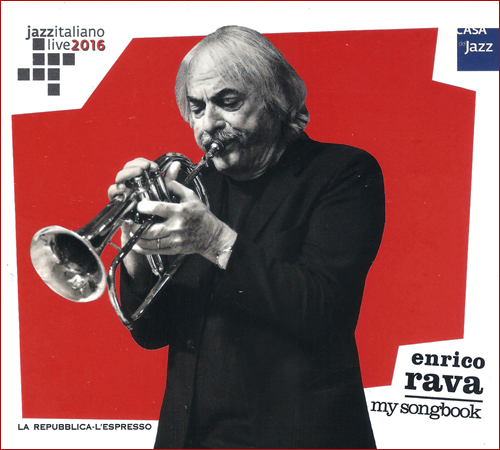 La collana che porta dalla Casa del Jazz in edicola i grandi musicisti jazz del nostro Paese con una serie di diciotto live esclusivi, una panoramica sulla musica d'improvvisazione in Italia, sarà in tutte le edicole mercoledì 6 aprile con la quinta uscita "My Songbook" di Enrico Rava.